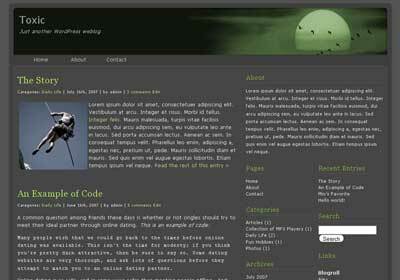 Toxic WordPress Theme, a free download theme for WordPress. Fixed width, three column layout, dark background color. Valid XHTML and valid CSS. 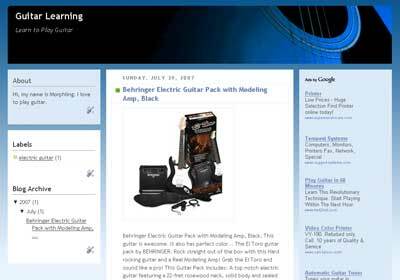 This theme has been tested in the newest version WordPress 2.2 and WordPress 2.2.2.